The first serious attempt at forming a national pro hoops circuit was the American Basketball League, which played its first season in 1925–26. Prior to that , pro hoops was strictly a regional phenomenon. New Jersey, long a hotbed of semipro and pro competition, played host to two teams in the ABL, the Paterson Whirlwinds and Trenton Bengals. They were the two strongest teams in the Metropolitan Basketball League, and joined the ABL in 1928–29 after MBL commissioner John O’Brien was made president of the ABL. The Whirlwinds played for three seasons beginning in 1928–29, the finals two as the Paterson Cresents. The team had some of the ABL’s top players in Benny Borgmann (right) and Red Conaty, but they could not afford to stay in business during the Depression and folded midway through the 1930–31 season. They continued to compete locally, but without their high-salaried stars. The Bengals featured one of the era's top pros, Tom Barlow. They only played one season before folding a few weeks after the stock market crash. The 6–1 Barlow (left) was born in Trenton in 1896 and was arguably the state's best player in the ’teens. At 16 he was playing college ball for Rider and picking up $15 a game from the Trenton Tigers. 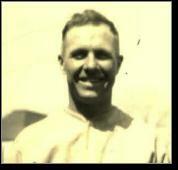 He played for several teams simultaneously during his 20s and finished his pro career in Philadelphia. He was elected to the Basketball Hall of Fame in 1981. Trenton had better luck as an Eastern Basketball League club. The Philadelphia Moose moved to New Jersey's capital in 1932–33 and made it to the finals, where they faced the dominant Philadelphia SPHAs. The Moose defeated the SPHAs 3 games to 1. The Moose moved to the ABL the following year and made it to the finals, but lost. The EBL, which had its first run in the late-20s and early-30s, also had teams in Atlantic City, Bridgeton and Camden. Trenton made another appearance in the EBL in 1934. Camden played in the EBL Finals in 1931 but lost to the SPHAs. The American Basketball League continued to operate, but after 1931 it was no longer a true national league. The financial crisis nearly killed pro ball in the mid-1930s. During this era, the best players either barnstormed or played as multi-team mercenaries for whichever club was willing to pay the most. Trenton got yet another ABL club in 1936, when the Passaic Red Devils moved there at mid-season. The Red Devils also claimed Paterson as their hometown. Despite the changes in geography, the club did not play in any of the three cities. They were Garden Staters in name only; their home base was across the river, in the Bronx. Near the end of World War II, Paterson rejoined the ABL when the Washington Capitals moved there. The Crescents were competitive for most of their seven seasons, reaching the ABL finals in 1948. The league by then had become a third-tier circuit, behind the National Basketball League and the Basketball Association of America (which later merged to form the NBA). 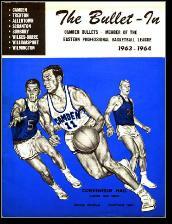 The Eastern Professional Basketball League formed after World War II using a different model than the NBA. EPBL teams played games on the weekend, enabling its players to hold down jobs and build post-basketball careers. For many college players, this was preferable to playing for NBA clubs, which paid slightly better, but scheduled games all week. The Eastern League also became a home for African American stars who would not put up wit the unspoken quotas imposed by NBA teams. The EPBL expanded from its Eastern Pennsylvania base to include teams from New Jersey in 1961 with the addition of Camden Bullets and Trenton Colonials. In 1966, the Asbury Boardwalkers—led by Jersey City legend Vinnie Ernst—joined the league, and the Trenton Pat Pavers in 1970. A handful of Jersey teams joined the EPBL in their last few years before the league folded in 1978. Among the players who starred for New Jersey teams in the Eastern League were Camden’s Paul Arizin (1962–63 MVP), Trenton’s Bob Love (1965–66 Rookie of the Year), George Lehmann (famous for his 30-foot "Screamin' Lehmanns") and Ken Wilburn (left). Love and Arizin were later enshrined in the Basketball Hall of Fame. The only New Jersey club to win an EPBL title was the Camden Bullets, in 1964. They beat the Trenton Colonials in two close, high-scoring contests. The Eastern League morphed into the Continental Basketball Association. New Jersey did not have a team in the CBA, however the state was a part of another minor league started in 2000, the American Basketball Association. What started as an eight-team league in large cities became a loose confederation of semipro clubs across North America. A team called the Express began play in 2005–06 representing Newark and East Orange. Daryl Dawkins was the team’s first coach.